Emergency services say there were no injuries and an investigation has been launched into the cause of the blaze. Radebe said firefighters had contained the fire which broke out just before 5.30am. “Luckily there were no injuries. We have dispatched three fire engines and 20 firefighters,” said Radebe, adding that there would be an investigation into the cause. 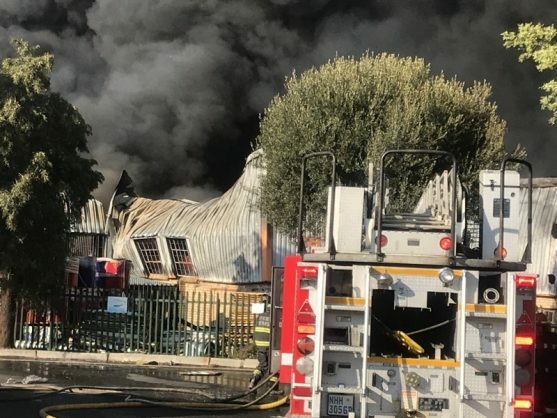 Images and footage of raging fire from the burning factory trended on social media, with some people speculating that the fire could be linked to a protest in Kya Sands, which is prone to demonstrations over poor services.